Foaming Soap With Aloe Is A Mild, Pleasing Soap That Is Gentle On The Skin. 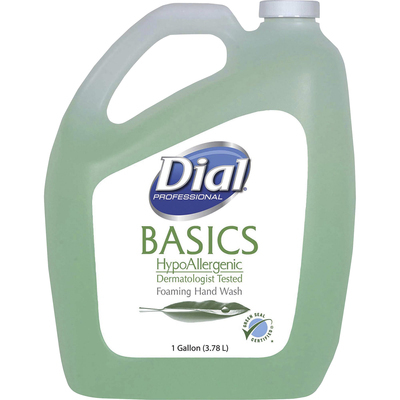 Dermatologist-Tested And Hypoallergenic, Dial Basics Foaming Lotion Soap Rinses Clean And Is Excellent For Frequent Handwashing. Dial Basics Is Perfect For Any Commercial Setting, Including Healthcare Facilities, Schools, Offices, Restaurants, Daycare Centers And More..